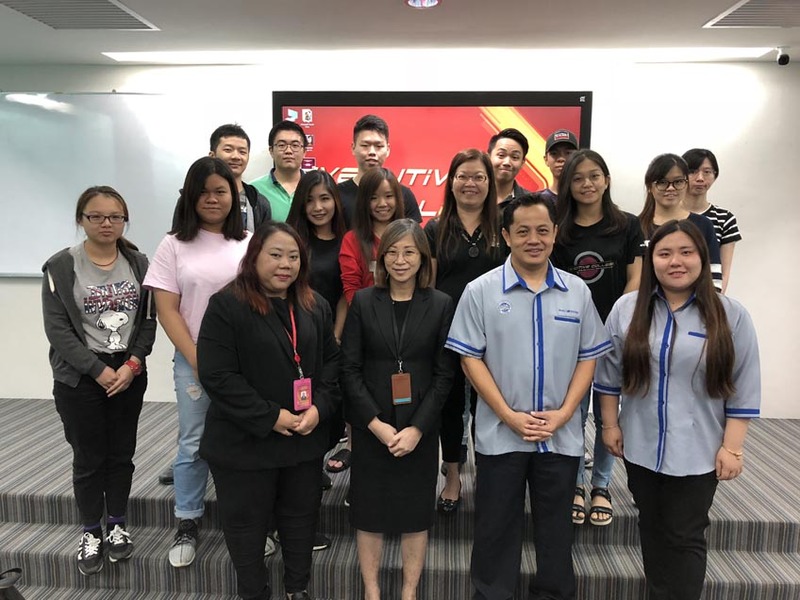 28 November 2018, KUCHING: Executive College’s Diploma in Quantity Surveying students attended a talk entitled ‘Is Quantity Surveying still relevant?’ here recently conducted by surveyor (Sr) Wong Chii Nguong together with Esther Wong from a renowned university in Sarawak. According to a press release, Wong, a senior lecturer in Quantity Surveying degree programme, has been working in the industry for the past two decades. During the talk, he shared various insights where he emphasised the important role played by quantity surveyors in the construction industry from project inception until the final account stage. Wong also talked about the shortage of quantity surveyors in the construction industry in Malaysia as many people often choose to become architects, engineers and contractors. He added, in order to become an important and effective quantity surveyor, one must also possess adequate soft skills such as communication and management ability, teamwork, leadership, negotiation and system approach skills. Executive College’s Diploma in Quantity Surveying (DQS) is a three-year programme which can be fully completed in Kuching. It is also accredited and recognised by the Ministry of Higher Education ( MoHE) and Malaysian Qualifications Agency ( MQA). The college prepares quantity surveying students to work at construction firms and advise on all aspects of construction costs, financial and contractual administration, in order to keep the project on time, within the budget and ensure the project is managed as efficiently as possible. According to JobStreet’s 2018 Salary Report, quantity surveying is one of the top 10 paid jobs in Malaysia. Besides Diploma in Quantity Surveying, Executive College also offers Foundation in Art, Diploma in Business Administration, Bachelor of Business Administration ( Hons) and Bachelor of Technology ( Hons) in Construction Management. The college also provides free iPad as a learning tool for students by using modern communication technology as part of its teaching curriculum where lecturers send notes, assignments and tutorials to students through various apps, and students can also do presentations using their iPads. Executive College welcomes walk-in enquiries from interested students and parents ( Monday to Friday from 8am5pm). For online enquiries, visit www. ecollege.edu.my or call 082- 345 680. Address: 2nd Floor, Crown Square, 88 Jalan Pending, 93450 Kuching, Sarawak, Malaysia. © 2017 Executive College - All Rights Reserved.